WiFi is so pivotal in lives of many of us. WiFi has garnered wide attention since it’s born and then grew unbelievably fast. Compare to its simple history, WiFi is significantly widespread, making the online scenes in work and daily life easier ever than before. 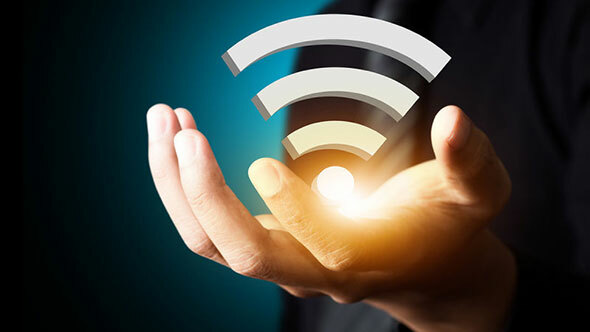 This post will focus on How to Set up WiFi Network for your guests. How Can You Benefit from WiFi? WiFi can handle more connected users than a limited amount of connection ports. Why is Guest WiFi Important? There are so many advantages of WiFi and these days; almost every family will use WiFi for household purposes. To keep freeloaders out, we usually add a password to the WiFi network. But what will you do when you have visitors, especially when they ask for your permission to access your WiFi network? Will you kindly share your password with them? If the answer is yes, I guess the visitor must be a trustworthy one to you. But what if you don’t know the person or you don’t want to provide him the password because that is the same password you use for your money cards or social media accounts? A guest WiFi network could drag you out of this awkwardness! You don’t have to give away your password if you have two WiFi networks – one for yourself, and another for the guests. That means you can set two different passwords for them then give the guests the password of the quest WiFi, showing your hospitality while keeping your key password under strict security. But wait! How can you do that without spending extra bucks on new routers? In other words, how to set up WiFi network for your guests without spending extra money? How to Set up WiFi Network for Your Guests? See? That’s how to set up WiFi network for your guests, amazingly easy. 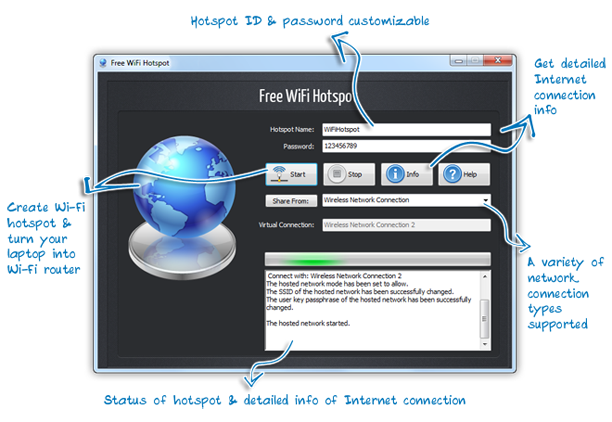 With Free WiFi Hotspot, you can create hotspot with custom SSID and password, which means you can change them every time after your guests leave, even safer.